Bright, spacious, single story home like no other. Large fully-fenced property with exclusive gated driveway. 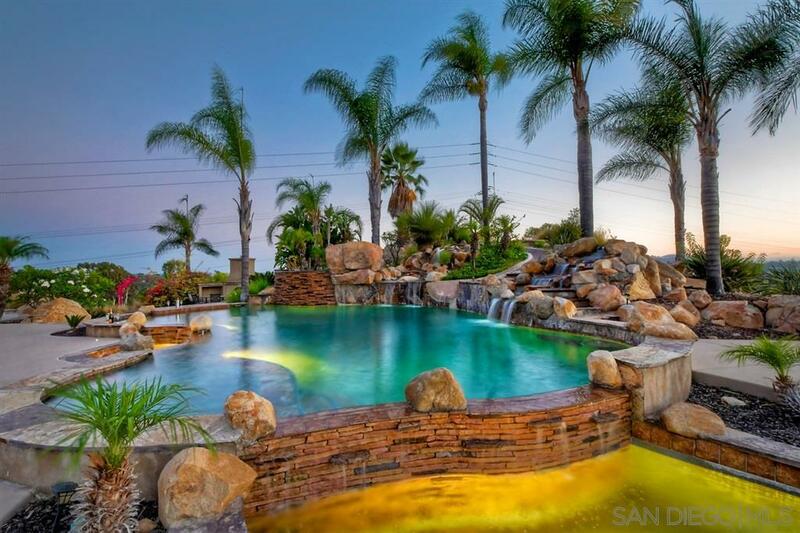 Diverse plant life and natural rock formations both enhance the backyard beauty and provide for a perfect resort-like feel, so you can enjoy the spectacular west-facing views, pool, hot tub, waterfalls, and 50ft waterslide in complete bliss and privacy. Fabulous San Diego climate lets you keep the French doors to the backyard open year-round., Outdoor kitchen, barbecue, and fireplace, cozy theater room, and fabulous wireless sound system make for an irresistibly delightful home ambience. Superb location gives you convenient access to main highways, excellent schools, and the stores you frequent most. With so much to offer, this house is ready to become your next home.